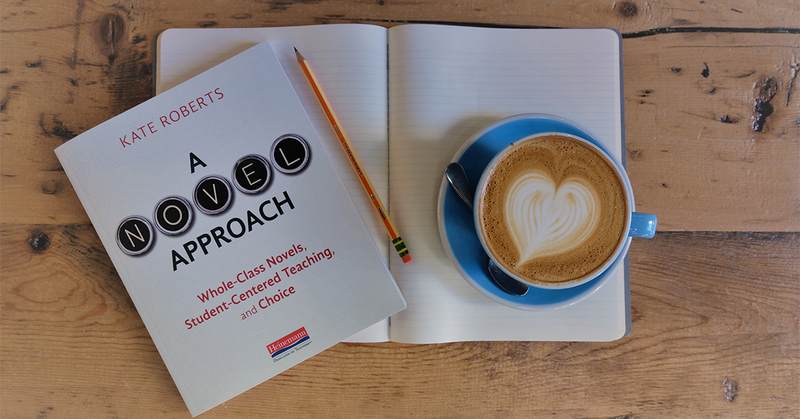 To practice reading skills either as a student or a teacher, you can download the skills and strategies bookmarks that accompany A Novel Approach by Kate Roberts. Each set is available for free download and filled with steps that readers can take with them in whatever text they're currently reading. A Novel Approach student bookmarks offer readers on-the-spot guidelines for growing their comprehension that they can keep in whatever text they are currently reading. 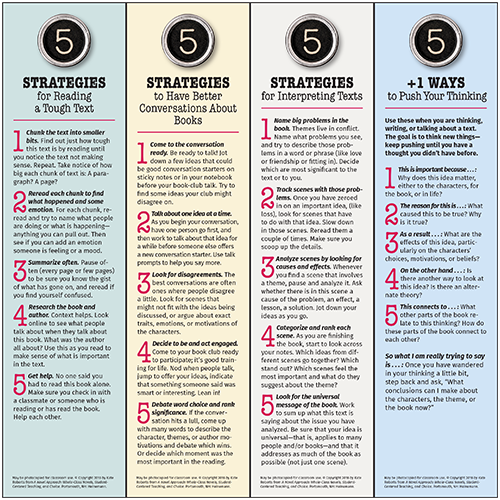 Each overarching strategy has five different steps a student can try out to find what best suits them. Click the image to the left to download and print out book marks for your students! Available in black and white here. 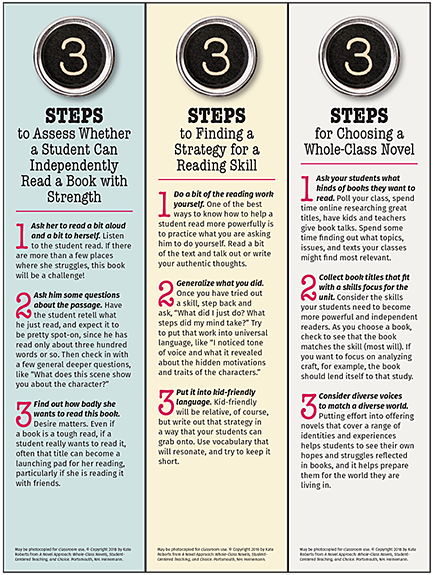 A Novel Approach teacher bookmarks offer the same in-the-moment guidance geared for teachers helping students by assessing whether a student can read independently with strength, finding a strategy for a particular reading skill, or choosing a suitable whole-class novel. Keep them in a book you are reading with your students, or in a personal book to challenge your thinking! Click the image to the right to download and print your own bookmarks. Available in black and white here. With the ultimate goal of helping readers get better at reading independently, we lean in to focus on the skills that propel students to make discoveries about the content on their own. If you have been steeped in skills and strategies instruction, if you have studied workshop teaching or reading instruction, then the language around reading skills is likely right at your fingertips.